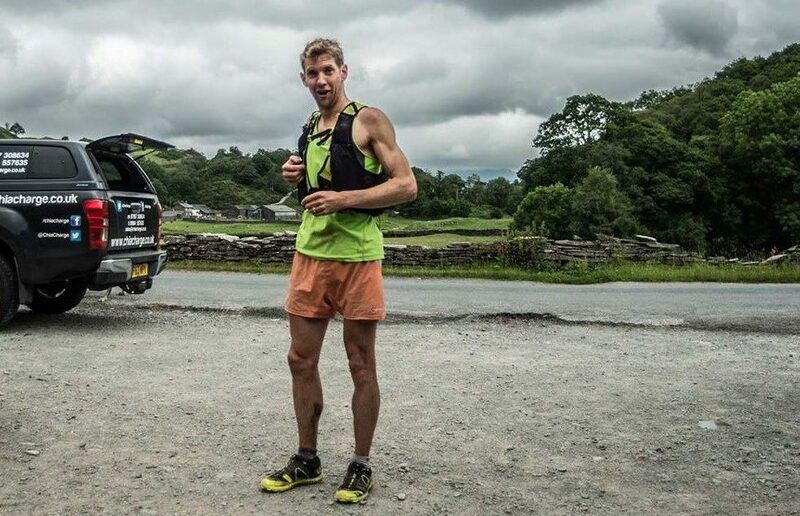 The Lakeland 100 in July last year seems like a distant memory in some regards, however the lessons learned from the build up and whole training year still sit firmly in my mind, albeit still a little uncomfortably to be honest. 8 months further on I feel like a very different runner now, and with the Yorkshire Three peaks race only days away, it is probably a good job! So why am I focusing on this event? 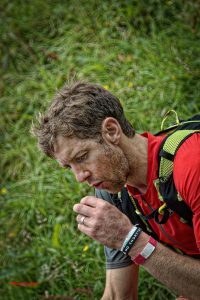 Surely I should be looking at something longer right now, after all there is plenty to choose from in the coming weekend – The Highland Fling, Madeira Island Ultra trail and the classic Fellsman. Stepping back a bit to September 2016 with a DNF at the Glencoe skyline. This followed shortly after a tough slog on the CCC only 4 weeks after winning and breaking the course record in the Lakeland 50, the power of hindsight doesn’t take a genius to work out something was going wrong. Sure enough by November that year I was absolutely shattered. The additional stress of family bereavement and lots of “life” challenges took its toll, and I was struggling to get through each day, dragging myself up each morning and crashing mid afternoon, unable to do any sort of training without being completely wiped out. All the signs pointed to Adrenal Fatigue, and whether or not that was genuinely the issue this was the route we went down and took treatment for. A dose of aw bless petal, time to get a grip. Time to swap the bike and treadmill for a bit of rubber band.. The following 5 months were a day by day process of rebuilding, a big change in diet, lots of resistance and movement training rather than aerobic, along with some work on all the noise in my mind. By March I felt like a much more together person and athlete, and although less concerned with high end performance, I was just simply grateful to be out running and training again. 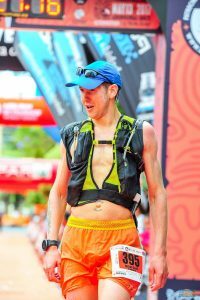 The Transvulcania ultramarathon was a fantastic start to the year and spurred me on to train and race in a way that would serve me better in the long term. The build up to the Lakeland 100 at face value seemed to be one of my best ever. Certainly the volume was great, and with several 100+ mile weeks with good quality rest built in, I was starting to feel really good again. So what went wrong? I know It didn’t go that wrong, 5th place and a reasonable time on the LL100 is still pretty good, heck anyone just finishing it is something I have tremendous respect for, so don’t get me wrong; I am and will always be proud of that result, but I know deep down inside I was just way off the mark with were I had been in training, the worst part was the following month; without too much detail it was all a bit grim. 3 weeks before the LL100 I toed a very lonely start line for the Lyke Wake race – 40 miles across the North Yorkshire moors with lots of variation in terrain and a decent amount of climbing. It is also a handicap race so you estimate your time and you are set off with the aim that everyone finishes at Ravenscar at 4pm on the Saturday. Looking like a perfect lead in the LL100 I made my first error when submitting my estimated start time. Obviously full of beans at the time, I had put down 5h 30min, thinking it wouldn’t really matter if I didn’t make that, no one else wanted to comit to that time either, hence everyone setting off before me and the lonely start! I guess I didn’t account for the fact I was feeling like superman on the day and then someone told me that they didn’t think I would be able to get near that time – disengage brain, turn up ego – challenge accepted! Maybe it was the relaxed start (everyone else had already set off) the fact that you were chasing everyone, or I was just really fired up. It wasn’t just that I felt good, it was that I felt completely committed to the push and pain of racing hard, something I hadn’t felt for a long while. I pretty much turned myself inside out on that run, not taking much notice of a really bad fall I had about 30 miles in (this left me with a fractured bone in my hand and trapped nerve in my neck). I loved the whole event though and having Kim and Jon Steele support was mint, plus you got to see nearly all of the other runners on the course too. In the end I was pretty spot on with my estimated time – finishing in 5hr 28min. The Lyke Wake Challenge, in good company here. Ok so a great load about last year, but what has that got to do with the Three peaks in T minus 5 days and several hours? I guess it comes back to those lessons I mentioned and what has happened since then. For starters, I realised although not lacking in motivation, I do quite often lack self-control or the ability to look at what I do myself and override the emotional part and listen more to the rational element of my training. Secondly, I realised that I actually really enjoy running fast rather than the more patient and relaxed effort needed for 60 mile plus events. 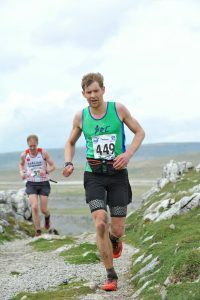 I started running 5 or so years ago and it all started with local fell races. 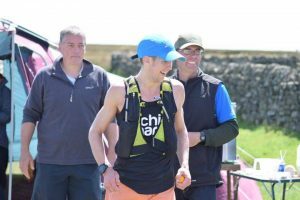 The distance gradually grew and soon became ultras, but not before lots of fell racing, mountain running, Hardmoors trail marathons and some other shorter ultras. A couple of weeks following the LL100 I ended up out on a run up Blencathra with Katie and Casper Kaars Sijpesteijn. B Having a good time and blasting back down a fantastic technical descent was the most fun I had had running all year (and that includes some serious miles leading up to LL100). It felt so exhilarating and natural, clearing my head of all the other trash. This was what I missed: time to go back to my roots. Playtime! 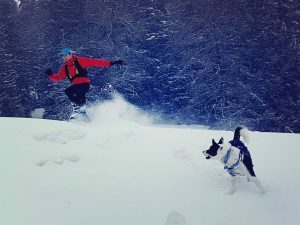 winter in the Alps was great and having some great kit made it much more fun! The third thing I have come to understand is just how much difference missing a winter of training made to the following year, sure I was getting the volume in and recovering from the week by week training during the summer, but I had very little resilience to any hard or intense work, both mentally and physically, so when it came time to do any races it just zapped me of any reserves and took much longer to recover from. In addition to making changes to my training and approach, I also looked outwardly and was very fortunate that Martin Cox agreed to take me on as one of his coaching athletes. I know personally how much people Kim and I coach ourselves get out of having this support, so having one for myself wasn’t really a question, it was more about finding one that would bring a high level of knowledge and experience, but at the same time be prepared to call me out if I was doing something that wasn’t keeping me on track for my ultimate goals. 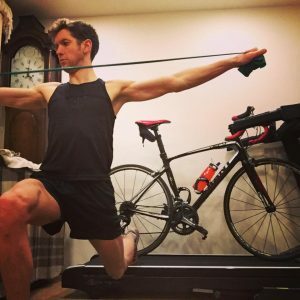 Martin ticks all of these boxes and many more and September last year I started following a training plan which was not one of my own design! Group runs and social days out are so good! The end goal may have changed a little bit since then, but the core of it has been pretty consistent, mainly get faster at running short distances but also become more resilient to hard sessions and racing. Now with a winter of X country races, fell races and also a couple of events in Europe in snow under my belt, I feel so much happier that I can cope with pushing myself 100%, feel good in the process and most importantly recover from it all and be able to keep training consistently. Not to say things haven’t been completely problem free and a dodgy stomach for the last 2 months has brought its challenges, but having the support to work through these things makes a massive difference. Support from sponsors has been fantastic as well. The new trail series and range of lightweight clothing from Montane fits in really well with what I am doing, and having input into this over the past year or so is very rewarding, I absolutely love having stash pockets on my shorts and running tights (note I said running tights rather than Robin hood tights). Much to the dismay of marketing, I still have a pair of retro orange test shorts which seem to clash with every other colour. I am also fortunate enough to be supported by Scott sports which works out really well as the Supertrac RC shoes are my absolute favourite shoe ever, not just because I like the colour but they also fit me perfectly and transition through a multitude of terrain far better than anything else I have ever used. The team at Chia Charge are great. As well as following me around the LL100 last year and giving Chris a nose bleed trying to keep up with me (this did happen! ), Kim and I have been doing our best to eat them out of Peanut butter and all the one-off specials they keep doing, it is great food for on the go in the snowy mountains but also anything with Chia seeds in has got to be good! Who's going to be at The Montane Lakeland 50 & 100 next year? Here's a little taster of what you're letting yourselves in for. Going back to my roots of running I think one thing we have always been really lucky to have is a great group of people and friends around us: our own athletes that we coach. Team Cavill Coaching have been amazing, the work and effort they put into their own training and events continuously inspire Kim and I to be our best and learn more to help them and ourselves. Having a community of people who understand what you do and why makes it so much fun! There will even be a Cavill Coaching relay team at the Hardmoors 110 this year! So the Yorkshire Three Peaks is the first target A race, or one that I am actually tapering for this year. Having done it three times already, with the last 2 (2014/15) in the area of 3:20 give or take a minute, I am under no illusions that a good result at this event requires you to be in top shape. The 24 miles has a mix of undulating trail yet big climbs and descents, so it is a real test of fast running mixed with strong climbing, and any weaknesses mentally or physically will be highlighted. With relatively tight cut off times, it isn’t just a case of covering the distance, you need to be on it from the start and if you don’t get to the 11 mile point at Ribblehead in 2hr 30min you are out and on the bus of shame. My favourite orange shorts! The end of the Transvulcania and the last 5k were so much fun! The idea for me is, that if I can be in shape for this race then it is a big step towards overcoming coming some of the issues over the past year or so, it also leads very nicely into a season of ultras or mountain races for which I am really excited about, at the moment I plan to stick to shorter mountain races (20 ish miles) with a final crescendo of a 40 ish mile mountain ultra in September. I am certainly not alone in this approach of shorter faster races, and it isn’t really anything new, though I do think as a ultra runner it is easy to get caught in a rut of only doing longer events, it is comfortable and for a while were your strengths lay, but if you stick with this for too long I think it catches up with you. This years Three peaks supports this, among the plethora of Fell running talent, there seems to be a great mix of mountain and Ultra runners this year, those not heading to the Fling or Madeira at least. Plus the first 5 people to finish will be selected for the GB world mountain running team so it already has such a quality depth of talent in both male and female. To be part of this race and tow the line is extremely exciting for me, racing against the best and giving it my absolute everything on the day is a pretty awesome thing to be able to do. Ingleborough in The Three Peaks race 2014, such a fun climb! As far as what I am hoping for, well I have some times in mind. Of course the weather always makes a difference but improving on previous performances is the main thing to me. It is the first main race in the season so a great chance to get stuck in and see how everything else falls, as with most things; if you stick with it and have the desire to improve and a strong goal, then the learning and experience will continue, the people and experiences will challenge but keep rewarding. All the best Jayson for the coming races.